We offer private relaxation for up to 4 persons. There is a sauna, whirlpool, relaxation room, hairdryer and refreshments. 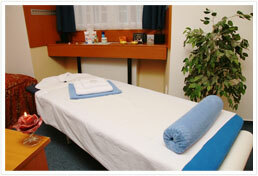 We offer sporting and ordinary massages, provided by an experienced masseur.